Here I sit. Another birthday just passed, and I am reflecting on the year that has now gone by. It was a good year, too. I experienced personal growth in many areas of my life. One of my happiest experiences was the day I was commissioned as a Stephen Minister. This vital program supplements pastoral care by offering one to one care for individuals who request support. While the many hours of training were meant to train me in the many aspects of Christian caring, they also provided me with much insight and an in depth understanding of myself. It opened doors to accept who I am, challenge myself to be assertive in areas I’ve never been, and to love myself from within. I didn’t even know I needed to confront some of the issues that came up, but right there in the midst of training to help others, I found I was helping myself. Take for instance, grief. I learned, as I made my way through the training, that I struggled with the grieving process. I knew it was always a bit rough for me, but in taking a closer look in understanding where people might be in their grief process and how difficult it may be, I learned I had never had an opportunity to properly deal with my personal grief. I was able to gain some knowledge about myself, heal a couple things, and I know I will be a better care giver because of it. This is who I am. 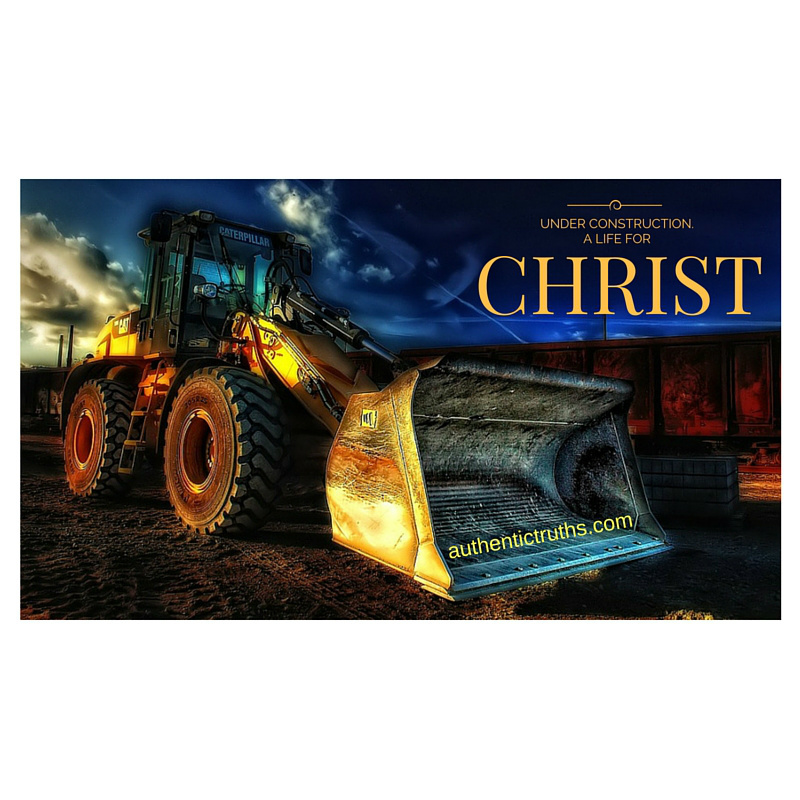 A Christian under construction. I am building my life every day on the promises of God. Promises of hope, a future, restoration, redemption, wisdom, life and love! If ever I feel I’ve got things figured out, there are quick reminders that I have so much more to learn, to experience, and to then teach others. We are all teachers to one another, and God above, the teacher to all. So as I think about the days that have now gone by, I am humbled that God chose me. Humbled by His amazing love, humbled that I accepted His call to serve in a new way. Intentionally making myself available to Him through the Stephen Ministry program, he will indeed use me to help one of his children through a difficult time. I have a wilderness of life to explore, mountains to climb, and waterfalls to admire. But on this day, I know I’ve listened well, and followed through. I journeyed for a year within my inner being, and now with a new clarity and understanding of myself, I am better equipped to serve a God who loves me. This series is titled “Lost and Found- Not a Coming to Jesus Story”… It may not be a ‘coming to Jesus’ story, but it is certainly a going for Jesus story! Loving in action and being a disciple for the kingdom by serving a mighty God!